Changing a company culture is a long process that can take years to fully establish, so starting off strong is half the battle. To be carried out successfully, construction safety must be interwoven into the culture of company, in everything thing they do. These five steps can help you establish a strong momentum right from the start that can carry you through to a successful shift in company culture and employee safety habits. Your team has to comprehend what exactly is changing with the new standards that you roll out. Explain why change is necessary, and emphasize that the new focus on enforcing safety measures aims to keep them healthy and active. A tip here would be to recruit a worker that you trust to monitor the response to new safety measures. This employee should be a worker who can help you identify who exactly supports the initiatives and who is unhappy about them. Use this information to develop plans to get stragglers on board before they convince their peers otherwise. The first rule in setting rules is that you’ve got to mean it. If you tell your staff to follow a new process but you never check up on it, they may find the motivation to follow through. Similarly, if you pick and choose which new rules you’ll follow yourself, your team will do the same. So when you announce a new focus on safety, be ready to commit to the rules yourself and make sure to increase safety checks and extra site inspections until following the new standards becomes the norm for all involved. You’ll also need to double check that you’re prepared for the financial commitment of procuring the proper equipment that your team will need, or make them aware that they’ll be responsible for bringing their own. If you opt for the latter, try and have some sturdy second-hand equipment on hand in case someone forgets to bring their own. Take time out of your schedule to help your team assess work sites and acquire the necessary safety equipment for each shift. Work together with your team to build a rapport and show them that you’re willing to go the extra mile for their safety. Listen and take notes if your workers have any special requests. When your team sees you working to ensure safety standards are being met, they’ll follow suit. The first two weeks that a new employee joins your workforce are the most influential period for you to begin encouraging company culture. Use this time to stress safety in your workplace. During his or her first few shifts, be sure to point out when methods don’t meet your safety standards and teach the proper procedure. Be respectful of your new employee’s previous habits while showing how things should be done on your worksite. Giving credit to workers who do the right thing without being told—such as wearing their hard hats at all times and operating equipment with safety features enabled—can go a long way. Positive reinforcement is a useful tactic in promoting behaviors, especially when recognition “points” can add up to small, non-monetary, bonuses or perks. 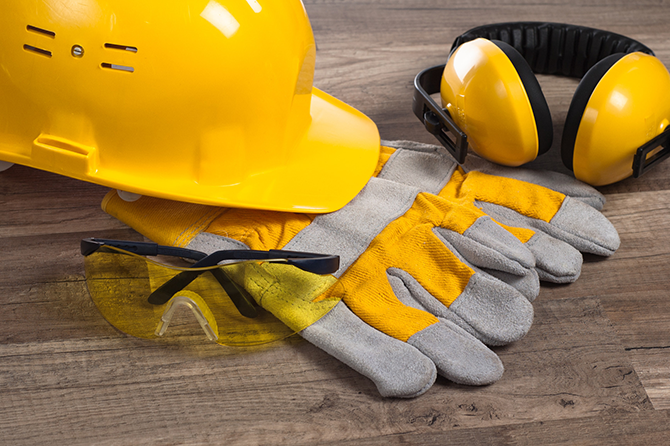 On the other hand, a demerit system that penalizes workers who forget or refuse to use their safety equipment may help raise awareness regarding what exactly is being expected of employees. Both of these programs can help guide safety behaviors as part of your overall cultural shift. Together, these five steps will allow you to notice the transition as current workers adapt and as new workers join the team. With careful maintenance, you’ll find yourself with a full workforce that values safety as much as you do. Download our FREE Complete Guide to Fatality Elimination. We cover some of the most common incidents within the construction industry, and tell you what you can do to prevent them.